Photo: Monks walking by the canal, Amphawa. At first light, monks row through the canal on alms round past kids out for a day of fishing. Grandmothers crack eggs in the open-air kitchens of their old teak wood homes, and farmers head off to market in long, narrow rowboats that brim with pomelo, lychee and banana. It sounds like a scene from rural central Thailand as described in the journal of a 19th century traveller, but life continues to unfold just like this in Amphawa each morning. What is going on in Amphawa? Set beside the Mae Khlong river and clustered around Amphawa canal in Samut Songkhram province, some 75 kilometres southwest of Bangkok, Amphawa has managed to retain its classic rural Thai charm. The town received an award from UNESCO in 2008 for its efforts to conserve the centuries-old teak wood homes and temples that line the canal. A large-scale, ill-conceived 2012 hotel project is responsible for destroying a few of the historic houses towards the eastern side of the canal, but it appears the community will more carefully consider the ramifications of projects like this in the future. Amphawa’s atmosphere is exceptionally laidback on weekdays, but it gets crowded on Fridays, Saturdays and Sundays when Bangkokians flock here to enjoy the town’s famous floating market. Unlike other floating markets that finish up by late morning, Amphawa’s is an all-day affair where hundreds of vendors sell prepared foods and artsy souvenirs, some on the footpaths beside the canal and others on anchored boats within the canal itself. The majority of foreign tourists hit the market on a daytrip from Bangkok, usually on a guided tour, but Amphawa is not difficult to visit independently, and several homestays and small resorts make an overnight stay worthwhile. A mid-week visit is a good idea if you’re seeking some downtime, especially considering room rates are often cut in half outside of the weekends. Be warned that most market vendors close up during the week, but some great food can still be found. Boats and fishing are a way of life throughout Samut Songkhram province, and no visit to Amphawa would be complete without a taste of the area’s bountiful seafood. A number of other markets and sights in the outlying area are also worth a visit, most of which can be reached by hiring a boat for a full or half-day of exploring the Mae Khlong river and its tributaries. Fruit farming also remains a vital aspect of life in Samut Songkhram province, evidenced by the many farmers who fill up their boats with pomelo, lychee, watermelon and other fruits and cruise the canals of Amphawa looking for sales. To get a more up-close taste of the area’s farming lifestyle, head to Tha Kha weekend floating market some 10 kilometres north of town. History buffs will be intrigued to learn that King Rama II was born in Amphawa in 1766, and both King Rama I and King Taksin visited the town often throughout their lives. A park with a statue of King Rama II is now found at his presumed birthplace next to Wat Amphawa Chetiyaram just north of the canal. Many other temples are scattered throughout the area, and a market is thought to have existed continuously in Amphawa since as far back as the early 1600s. Amphawa is also one of the best places in Thailand to go for the annual Loi Krathong festival each year in late November. Dilapidated (but in a good way) old houses line the east to west flowing Amphawa canal through town, which briefly cuts south before emptying into the Mae Khlong river just southwest of the floating market. The river itself -- as wide here as the Chao Phraya in Bangkok -- flows just south of a tiny town centre that’s also a stone’s throw from the canal. Prachaset Road runs southeast to northwest just east of this town centre before crossing the canal and hitting Rama II park slightly to the northwest. Pracha Uthit Road cuts due east from here and meets Route 325 after about a kilometre, which runs all the way to Samut Songkhram town 10 kilometres to the southeast and north to Tha Kha village and, eventually, Damnoen Saduak. Amphawa town also includes the area south and west of the river, which is home to a few houses, some large temples and little else. Continue northward up the Mae Khlong (or one of the riverside roads) and you’ll reach the charming towns of Bang Noi and Bang Nok Khwaek, each of which have small floating markets of their own on weekends. Take the river south and you’ll pass right by Samut Songkhram town and Mae Khlong market/railway station before reaching the Gulf of Thailand. The Amphawa police station is located across the street from the main river pier just south of the canal near the centre of town. A tourist information centre/town hall occupies a lovely heritage-building smack in the centre of town. Several ATMs and full-fledged banks are also found here along with a handful of eating options that are open seven days a week. A small medical clinic is located right next to the town hall, but Amphawa hospital is a couple of kilometres north of town on the road that hugs the west side of the river. WiFi is free at much of the accommodation and a few cafes, although we could find no proper internet cafes or even guesthouse computer stations in town. Browse our independent reviews of places to stay in and around Amphawa. Read up on where to eat on Amphawa. Check out our listings of things to do in and around Amphawa. 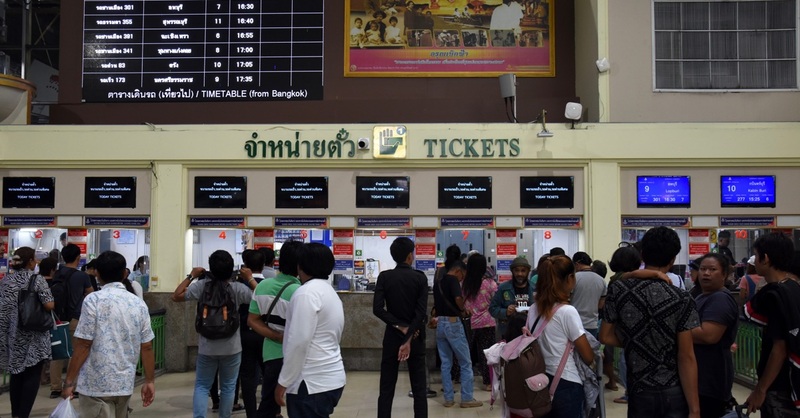 Read up on how to get to Amphawa, or book your transport online with 12Go Asia. Planning on riding a scooter in Amphawa? Please read this. 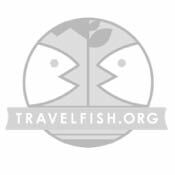 Use the above map to find specific destinations in and around Amphawa which are listed on Travelfish. Bed icons indicate a guesthouse, hostel or hotel, the knife and fork is an eatery or bar and the four-way circular thingy marks sights, attractions and other points of interest. Click on any icon for a short pop-up and a direct link to the page for that spot. If you are in the area, use the teardrop icon near the top left to show your position on the map (you'll need to allow position sharing for this last feature to work).